52% of my fellow Britons want to leave the EU. I have no idea what this will mean long term, but the pound is already suffering. I’m sad, because I like being European as well as British. 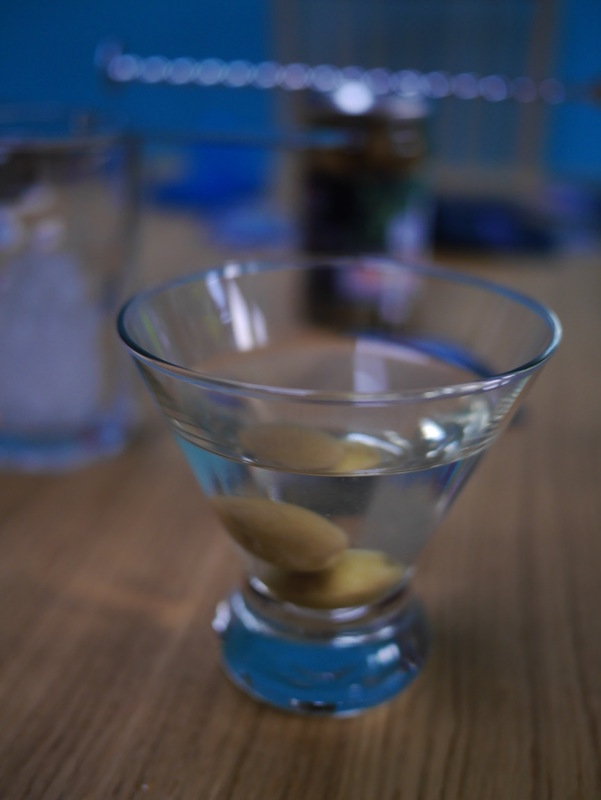 Here’s a martini made with Spanish gin and French vermouth. Yes, I know it’s early. 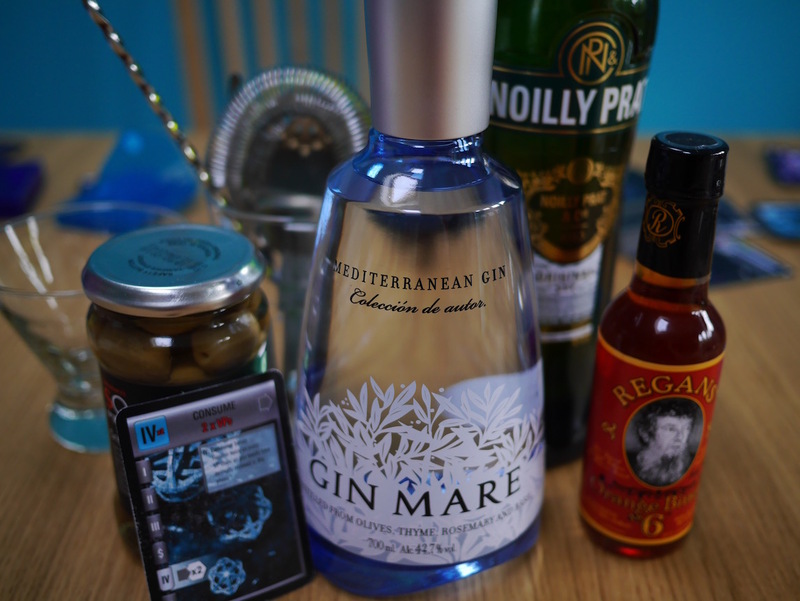 Gin Mare is the gin of choice, a really interesting gin with lots of herbs and no fixatives (orris root, etc.). But that’s OK because it’s not going to last long. Noilly Prat is the vermouth of choice, and it’s great for cooking too. I’m trying Regan’s orange bitters (as an alternative to Fee’s). Mix the lot in a mixing glass and stir, then strain into a cocktail glass and garnish. I like green olives. 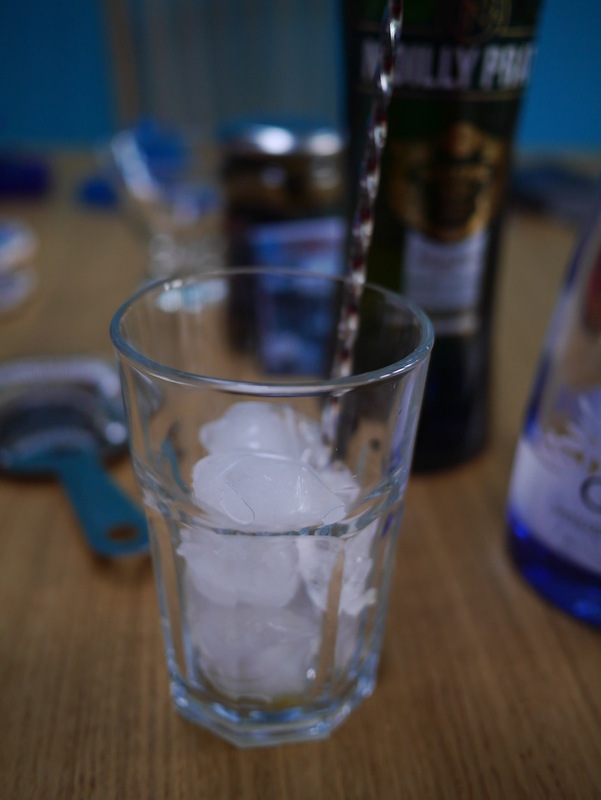 I use a ratio of 3:1 gin to vermouth plus a bar spoon of bitters, which was fashionable around the 1920s. It’s a fairly complex and subtle martini. I think the Gin Mare may be better shaken in a dirty martini, but it’s tasty anyway. The Regan’s is very different from Fee’s, much less citrus and a lot of spice. Probably better suited to savoury cocktails in general, though I’ll keep the Fee’s for my gimlet recipe. Chin chin!